March 2015 – Well no, Mom and Grandma didn’t bake gluten-free! I doubt if they even knew what gluten was – I certainly didn’t when I was a kid, and I never heard of anyone being “allergic” to wheat or gluten. Growing up in the wheat belt of Canada, grain was something we took for granted. Today of course it is a different story. 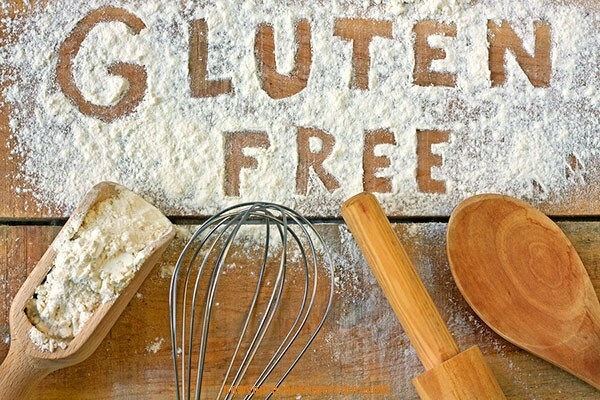 “Gluten-free” is pretty much a household phrase now, with more and more gluten-free products showing up on grocery store shelves, and more and more restaurants supporting gluten-free (and other allergen) diets. Certainly there is no question that a gluten “allergy” exists in the case of celiac disease, which affects many people. There is still some argument about whether gluten, wheat, and indeed all grains, cause health problems and should be avoided by everyone, as proposed by Dr. William Davis (author of Wheat Belly) and by other proponents of paleo or primal diets. My mother suffered from Crohn’s disease, psoriasis, and later in life, diabetes – which arguably could have been improved by adopting a gluten-free diet. Unfortunately no such ideas existed in her time (she passed away in 2002). So, I began my quest to learn how to recreate some of the foods I loved without wheat and gluten. There have been some failures, but I will share the successes with you here.